Discover out-of-the-way places like River Rafting & Tubing and Orakei Korako Cave & Thermal Park. Get in touch with nature at Waimangu Volcanic Valley and Agrodome. And it doesn't end there: take a pleasant ride with a tour on horseback, explore the activities along Lake Rotorua, identify plant and animal life at Paradise Valley Springs Wildlife Park, and take in the architecture and atmosphere at St Michael's Catholic Church. To see reviews, maps, ratings, and other tourist information, you can read our Rotorua travel route site . Oslo, Norway to Rotorua is an approximately 31-hour combination of flight and bus. You can also fly; or do a combination of train, flight, and bus. The time zone difference moving from Central European Time to New Zealand Standard Time is 11 hours. When traveling from Oslo in April, plan for somewhat warmer days and much warmer nights in Rotorua: temperatures range from 24°C by day to 15°C at night. Finish your sightseeing early on the 17th (Wed) to allow enough time to drive to Whitianga. Whitianga is a town on the Coromandel Peninsula, in the Waikato Region of New Zealand's North Island. Get in touch with nature at Whangamata Beach and The Lost Spring. Discover out-of-the-way places like Hahei Beach Walk and Whangapoua Beach. Get out of town with these interesting Whitianga side-trips: Moko Artspace (in Hot Water Beach), Mount Paku (in Tairua) and Karangahake Gorge Historic Walkway (in Waihi). And it doesn't end there: kick back and relax at Matarangi Beach, see the interesting displays at Mercury Bay Museum Whitianga, and get your game on at Fun Zone Adventure & Family Park. To see maps, traveler tips, where to stay, and tourist information, read Whitianga travel planning app . You can drive from Rotorua to Whitianga in 3 hours. Other options are to do a combination of bus and flight; or do a combination of flight and shuttle. In April, daily temperatures in Whitianga can reach 24°C, while at night they dip to 15°C. Wrap up your sightseeing on the 20th (Sat) to allow time to travel to Kaitaia. Kaitaia is a town in the Far North District of New Zealand, at the base of the Aupouri Peninsula, about 160 km northwest of Whangarei. 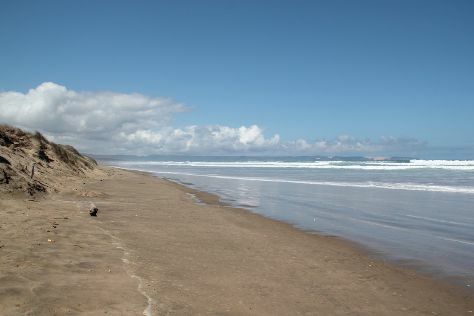 Start off your visit on the 21st (Sun): enjoy the sand and surf at Rarawa Beach, then enjoy the sand and surf at Ninety Mile Beach, and then enjoy the sand and surf at Tapotupotu Beach. Get ready for a full day of sightseeing on the 22nd (Mon): tour the pleasant surroundings at Mangonui Heritage Trail, then tour the pleasant surroundings at Coopers Beach, and then enjoy the sand and surf at Taipa Beach. To see reviews, other places to visit, ratings, and tourist information, read our Kaitaia trip itinerary builder tool . Traveling by car from Whitianga to Kaitaia takes 7 hours. Finish your sightseeing early on the 22nd (Mon) to allow enough time to travel to Hokitika. 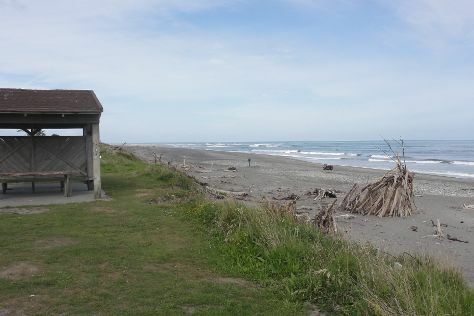 Hokitika is a township in the West Coast region of New Zealand's South Island, 40km south of Greymouth, and close to the mouth of the Hokitika River. Start off your visit on the 23rd (Tue): head outdoors with Glow Worm Dell, then tour the pleasant surroundings at Hokitika Beach, and then identify plant and animal life at Hokitika Gorge Walk. Find out how to plan Hokitika trip without stress by asking Inspirock to help create an itinerary. Drive from Kaitaia to Hokitika in 21 hours. Alternatively, you can fly. Wrap up your sightseeing on the 23rd (Tue) early enough to drive to Akaroa. On the 24th (Wed), see majestic marine mammals with a dolphin and whale watching tour, steep yourself in history at The Giant's House, and then fulfill a lifelong dream with a swim-with-the-dolphins experience. For reviews, other places to visit, ratings, and tourist information, use the Akaroa tour itinerary maker app . Traveling by car from Hokitika to Akaroa takes 4 hours. Alternatively, you can do a combination of flight and bus; or do a combination of bus, train, and car. In April in Akaroa, expect temperatures between 20°C during the day and 8°C at night. Cap off your sightseeing on the 24th (Wed) early enough to go by car to Dunedin. Escape the urban bustle at Nature & Wildlife Tours and Tunnel Beach Track. Eschew the tourist crowds and head to Penguin Place and Olveston Historic Home. 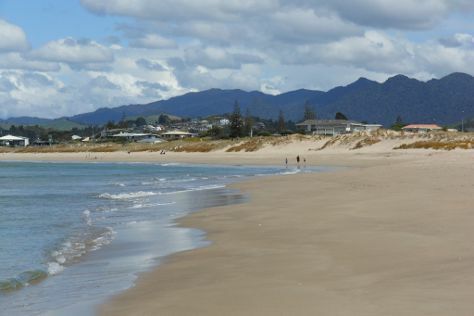 Go for a jaunt from Dunedin to Waikouaiti to see Waikouaiti Beach about 50 minutes away. The adventure continues: learn more about the world around you at Otago Museum, make a trip to Bellamys Gallery, ride with the locals on Dunedin Railway Station, and tour in style with a train tour. To see more things to do, photos, where to stay, and tourist information, read our Dunedin holiday builder website . You can drive from Akaroa to Dunedin in 5.5 hours. Alternatively, you can do a combination of bus and flight; or do a combination of taxi, bus, and train. Finish your sightseeing early on the 27th (Sat) to allow enough time to drive to Queenstown. 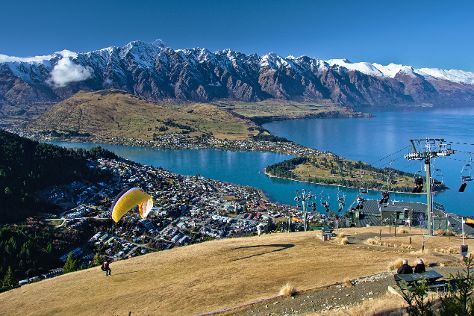 Visiting Skydiving and Queenstown Hill will get you outdoors. Step off the beaten path and head to Glenorchy-Queenstown Road and Dark Ride. The adventure continues: head outdoors with Arrowtown Village, trek along Ben Lomond Track, look for gifts at Wilson Gallery, and take in the architecture and atmosphere at St Peter's Anglican Church. To find reviews, traveler tips, other places to visit, and tourist information, read Queenstown road trip planning app . Traveling by car from Dunedin to Queenstown takes 3.5 hours. Alternatively, you can take a bus. Wrap up your sightseeing on the 30th (Tue) to allow time to take a bus to Wanaka. 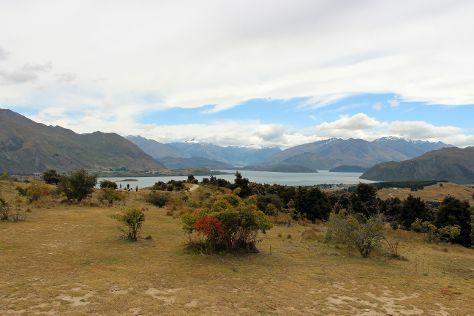 Situated on the shores of Lake Wanaka in the Otago region, Wanaka has become a popular ski and summer resort area, owing to its extensive views of the lake and its proximity to some of the best slopes in the country. Kick off your visit on the 1st (Wed): trek along Mount Iron Track and then fly down the slopes at Wanaka. Get ready for a full day of sightseeing on the next day: trek along Roys Peak Track. For ratings, reviews, more things to do, and more tourist information, refer to the Wanaka road trip planning website . Traveling by bus from Queenstown to Wanaka takes 2.5 hours. Wrap up your sightseeing on the 2nd (Thu) early enough to travel back home.